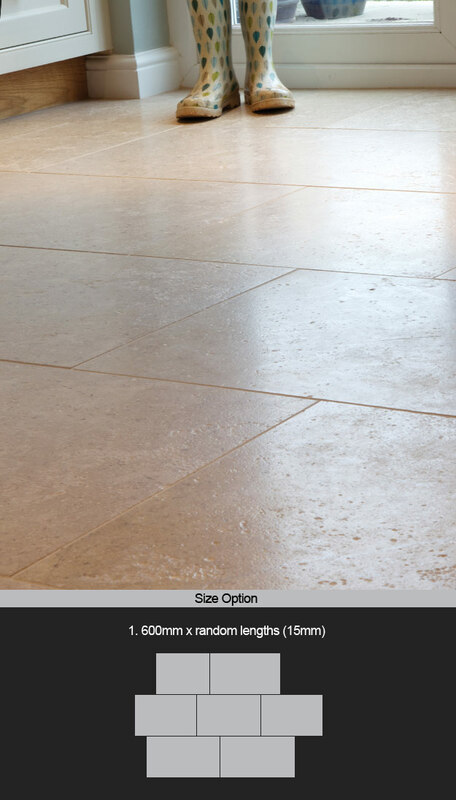 The Saintes limestone flooring has square edges with a textured surface which produces a smart satin finished floor. The warm creamy beige colouring of this stone plus the shell content and vein markings make this a very popular stone which is extremely hard wearing and is a perfect stone choice for flooring. * Warm cream / beige limestone. * Nice shell content & veining. * Square edges & textured surface. * Ideal domestic & commercial.